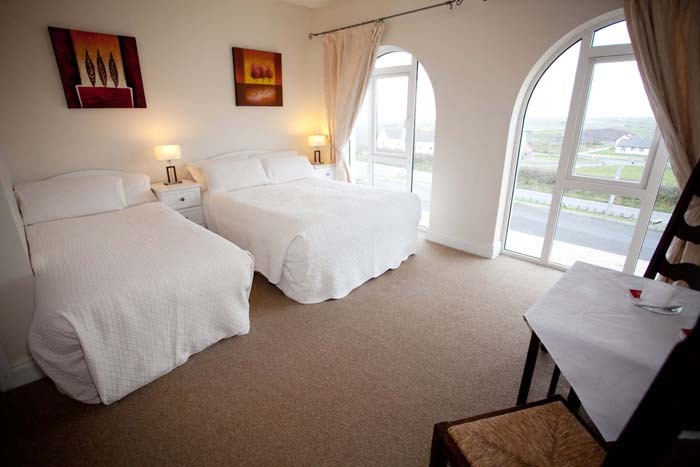 We can offer you four spacious elegant rooms, some with amazing views of the Atlantic Ocean. We have double rooms and twin rooms and all with spacious bathrooms. Please request view when booking. Our guest lounge is very comfortable with open turf fire each evening. The house is totally non-smoking. We have plenty of free safe off- street parking.